The SQL LOG10 function is one of the Mathematical function which is used to calculate the base 10 logarithmic value of the given float value. In this article we will show you, How to use this SQL Server LOG10 function with example. 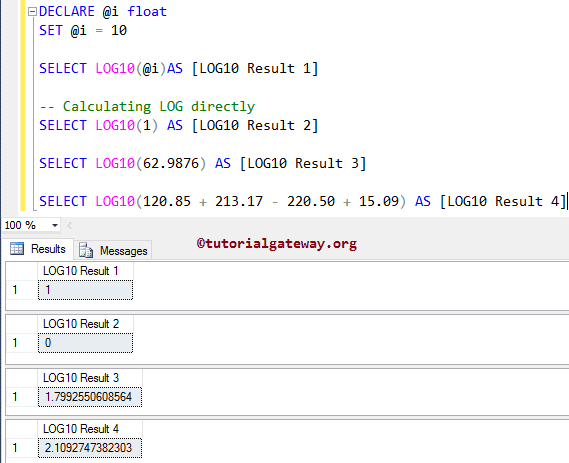 The LOG10 Function is used to calculate the logarithmic value of given float value with user specified base value. Within this LOG10 Function example query, Below lines of code is used to declare float variable and assigning the random value. Next, we are calculating the logarithmic value of @i base 10. 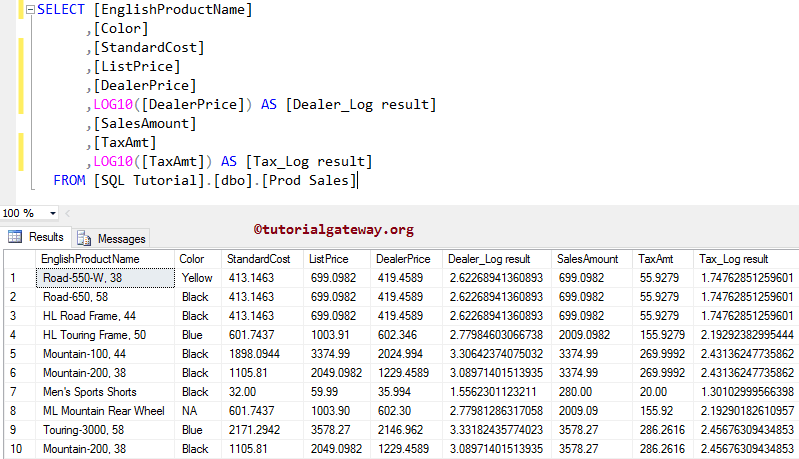 We also assigned new name to the result as ‘LOG10 Result 1’ using SQL ALIAS Column. In this example, We are going to calculate the base 10 logarithmic value of all the records present in the [DealerPrice] and [Tax Amount] using LOG10 Function.